Christianity teaches of Love and the Holy Spirit, but has lost its understanding of the relation between Knowledge and the Light. This relation must exist if Jesus is the Logos as John claimed, a term coming from Greek philosophy. Modern churches teach faith and belief, but no longer see God as the Truth, as That which illuminates all knowing, where understanding itself is a conversation with Light, “the true Light which enlightens everyone coming into the world” (Jn 1:4,9) Thus only emotion and blind belief is left to make a connection to the Divine. Yet the New Testament teaches that the Spirit enables you to know all things, even the deep things of God. (1 Cor 2: 9-16). Insight is based upon the Spirit according to John’s statement that the Light will teach you of all things (if you ask and seek) and that you need no other to tell you what is true because the Light itself is truth (1 Jn 2:27 KJV). That is also taught in Hebrews Chapter 8 where the relation of your heart and mind to God’s Light is considered to be the New Covenant itself. It is as if Christianity over the ages has gradually suppressed its thinking by its feeling side. Love is taught but not what Light is. Yet God is Light and Love according to John’s epistle (1 Jn 1:5; 1 Jn 4:7-8,16) Inquiry is feared, or tethered to literal interpretation, or to carnal reasoning from accepted doctrine. The spiritual desire to know is undermined by a demand for unquestioning belief. God is taught as inscrutable, not as knowable; and God’s Presence is not seen as illumination by him, but as an emotional relation to a thought about him - especially as a feeling of dependency upon him. Many Christians believe that Spirit is emotion, or is only accessed by emotion. They mistake the ancient meaning for soul or psyche, which is feeling-and-desire, imagination and emotion, for spirit. The spirit is the life of what we call knowing -the flow mentally of light- the literal breath (pneuma) of the mind. Mind is spirit’s lowest manifestation and expression just as the form of the body is the soul’s. The soul’s function is to turn the things of light into forms, and, to release the light bound in forms. The spirit’s function is to know and be the identity in all things. The soul’s center is the Good, as the spirit’s center is the True. These are the Divine Male and Female, or Adam and Eve of creation: thought and feeling; idea and will; image and likeness. Connection to the Logos was considered to be through Self-knowledge, reason and the mind of man long before John taught that Jesus was Its incarnation. Self-knowledge was taught by the Stoics, Heraclitus, Socrates, and by the Mysteries. John and Paul would have known this when they communicated that Jesus was the Logos to their Gentile audiences using the Greek philosophical idea and term. In Greek and Stoic Philosophy Logos meant Reason, the acting Ideas, Order, or Intelligence of God. John identified the Logos as the Light of Life, claiming that Reason, as the ancient world translated this term, or Sophia as the Hebrews called God’s Wisdom, enlightens every person. For all who seek God through understanding, meditation or prayerful insight, the following is intended to supplement teachings about Love and the Holy Spirit with a teaching for the mind about Light and the Logos. 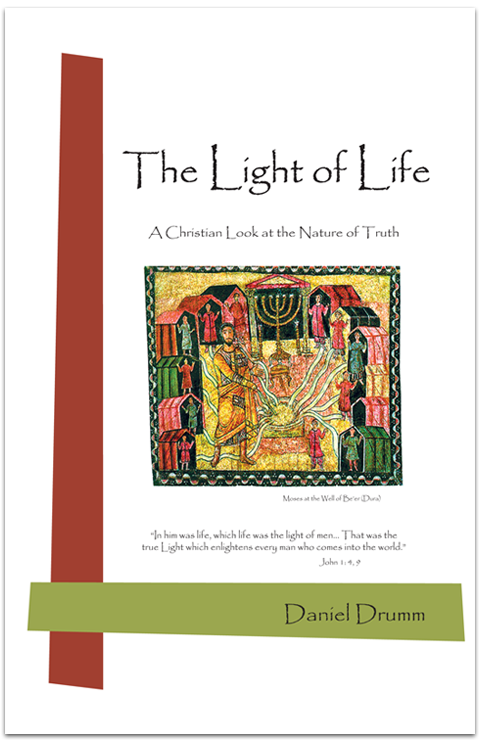 It seeks to re-establish the point of view of the New Covenant concerning Love, Light and Life. It distinguishes those views (Jn 6:63; Heb 10:16; 2 Cor 3:3) from the tribal, fearful and law-based teachings of the Old Covenant (Heb 7:11-16; Gal 4:24-29; Heb 8:6-11) which Paul claims place a veil upon the heart (2 Cor 3: 6-18). Rather than ‘waxing old and decaying’ (Heb 8:13) these ancient forms of early monotheism have steadily encroached upon the mind and heart of modern Christianity. According to Paul they should be set aside, as they are not fundamental to Christianity, and only serve to introduce it..